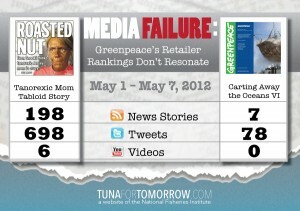 Greenpeace released its contrived ranking of seafood retailers, called “Carting Away the Oceans VI,” in the first week of May 2012. 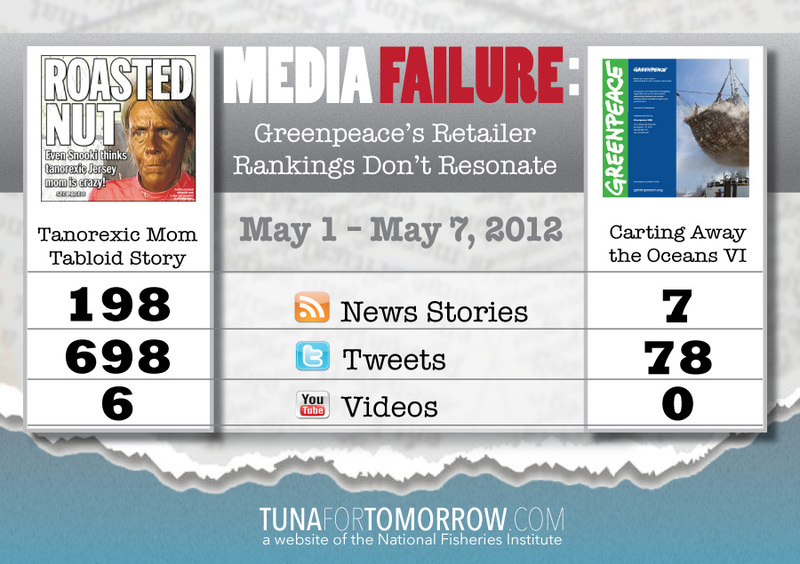 The non-scientific report was based on a flawed survey with predetermined results. And the media knows it. One of the pressure group’s most potent threats is that it can use its influence with the media to generate news coverage at will. But how real is that threat? This infographic compares how little media interest the CATO VI received especially when compared to the human interest story that was fascinating the US public that week.